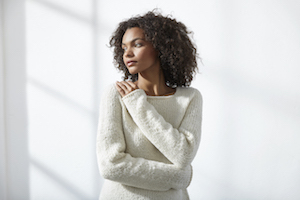 Learn how to knit a seamless, top-down, set-in sleeve sweater! I will provide a pattern for a mini/toddler sweater (quick knit on US 9 needles) We should be able to knit most of the cardigan from the neck down to the armholes in class so that everyone can experience first-hand how the Cocoknits method works. You’ll be ready to go home and cast-on for an adult sweater from the book, The Cocoknits Sweater Workshop. The pattern includes instructions for finishing the sweater from the armholes down after class (if we don’t get to it). This also includes an explanation for the Cocoknits Sweater Worksheet which allows you to easily keep track of your increases on a seamless yoke.